It’s time for spring cleaning so don’t forget about your roof! Damage to your roof can happen during any season so it’s important to inspect it a couple times per year. It’s a great time to inspect your roof and perform some general maintenance to ensure your roof will last through the summer months. Here are a few tips to help you out. Clean out the gutters – Not only do you want to make sure your gutters are cleaned out so water can flow freely through to the downspouts, it’s a great way to inspect your shingles. When asphalt shingles start to fail, their granules will wash off into the gutters. If you find a lot of fine dirt-like material in your gutters, this could be a sign your roof is failing. Remove debris from roof – Debris collected on the roof will hold water and can cause deterioration of the shingles which lead to water leaks. It’s important to remove any debris built up on the roof. 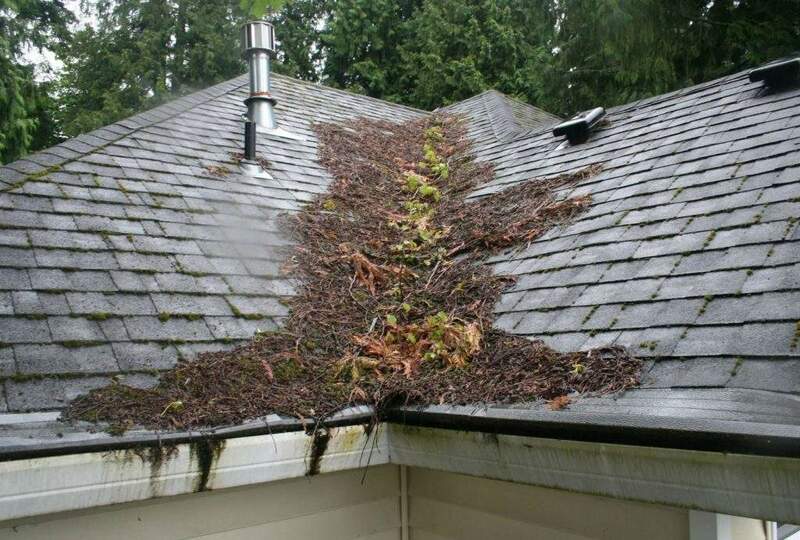 Trim back tree limbs – Not only can falling branches cause holes or other damage to your roof, but low hanging tree limbs that have the potential of touching your roof can scratch your shingles and remove the granules that protect your roofing system. Check your skylights – Check for areas where the flashing might be lifting or caulking may be cracked. Seal any areas you think may allow water to get in. Inspect the attic – Inspect the attic for areas of leaks or mold. Look for areas around your roof and near the eaves where birds or small animals can enter.